As it says in the name, three panes are used in triple glazing rather than the standard one or two. This gives another line of defence against heat escaping from your home allowing you more control over the temperatures in your property. This type is the most efficient and modern glazing solution. 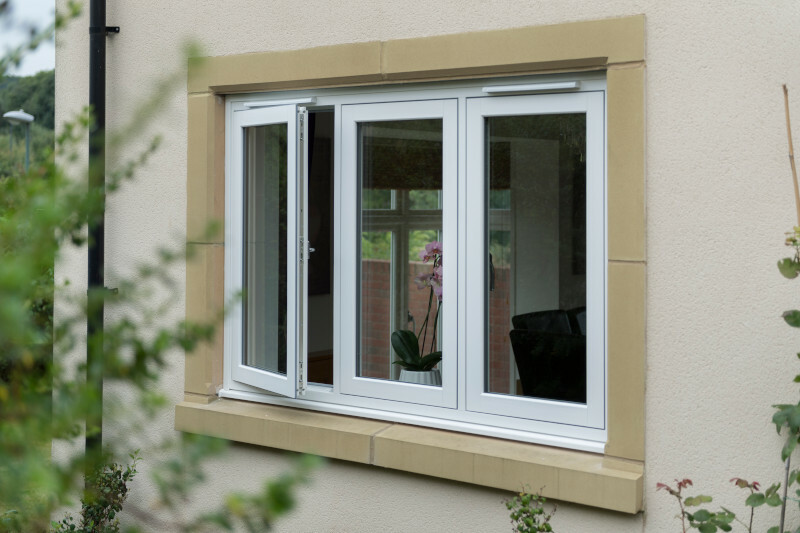 We offer triple glazing in uPVC, aluminium and timber as well as all of our window styles. You are guaranteed to find something for all homes and budgets. For those who live near a busy road or near the city-centre, such as Bristol, Slough or Reading, noise can be a problem. These windows offer the best acoustic insulation for your home eliminating any annoying background noise. Triple glazing is the best option for energy efficiency with the highest thermal insulation and an A*25 energy rating. If you struggle to keep your home and family warm, this is the best solution. As well as keeping you warm, triple glazing will greatly reduce your bills and help lower your impact on the environment by decreasing your carbon footprint. Resistance to bad weather and condensation is greatly improved and draughts and damp are eradicated. Why choose triple glazing from Oakley Green Conservatories? All of our products and labour come with a 10-year guarantee to give you peace of mind. Our vast experience guarantees that you are making the right choice when it comes to glazing. Our windows are fully customisable with a range of colours and wood grain finishes available to complement all property styles. We are glazing experts who prioritise quality and customer satisfaction. Here at Oakley Green we can advise on all aspects of glazing so there’s no need to go anywhere else. Triple glazing tops the class in all areas; insulation, efficiency and aesthetics and will put you at the forefront of glazing technology. Contact us today to find out how we can help, or take a read here for a comparison of triple glazing and double glazing.